Here are 12 of the most annoying types of Facebook users, by Brandon Griggs for CNN Tech. I have posted the list here because I thought it was so perfect! But please support CNN.com by viewing the article there. The Obscurist. “If not now then when?” “You’ll see…” “Grist for the mill.” “John is, small world.” “Dave thought he was immune, but no. No, he is not.” [Actual status updates, all.] Sorry, but you’re not being mysterious — just nonsensical. Hilarious and very true at the same time. I have seen each of these many times and am responsible for a few myself. Web Designer Wall brings us this article, Photoshop Secret Shortcuts. I have been an avid Photoshop user and abuser for the past 8 years and I did not know all of these. Never can hurt to learn new Photoshop shortcuts. “30 secret Photoshop shortcuts that I’ve learned from years of experience. Well, what I mean by “secret” is that these shortcuts are not documented in the menus. Keep reading and you will find how these shortcuts can speed up your productivity. I bet you don’t know all of them. You know sometimes you just need a good laugh. DamnCoolPics.blogspot brings us this article, Epic Fails, that had me laughing for a good while. I have posted some of my favorites but please support there site by taking a look at the full list. I promise you won’t be disappinted. Bassically using Web 3.0 technology GetGlue.com takes what you have reportly liked (when you signed up and everytime you flag something) and things your friends like and presents suggestions. Check out the movie below for more detail. So give this new site a shot and see what new Music, Movies and Books you discover! The Playstation blog recently reported that Netflix is coming to the PlayStation 3 next month. Considering NetFlix has been on the Xbox 360 for the past yea and it works really well from streaming movies to watching TV shows, not huge news. But in any case now the 9 million plus Sony PlayStation 3 enthusiasts have something else to get excited about. If only the Xbox 360 played Blueray movies it would be by far the best system in my opinion. You just can’t beat games like Gears of War, Halo, and now Forza Motorsport 3. Though the PS3 does have some solid titles. In any case if If you want to get a head start on your PS3 Netflix experience, you can sign up today at http://www.netflix.com/ps3. It is the National DO NOT CALL list. It will only take a minute of your time.. It blocks your number for five (5) years. You must call from the cell phone number you want to have blocked. You cannot call from a different phone number. Best and hope this helps you avoid some marketing calls on your cell phone! According the imdb.com, The Boondock Saints II: All Saints day is on limited release for October 30th, 2009. Troy Duffy returns as director with the original cast. Pre-screen people who were lucky to have seen it reported “”simply AMAZING” and that the “anticipated sequel did not disappoint.” I’m a fan of the first movie, one of my favorite movies. Very excited about this sequel! Apple has had some of the best advertising for the past 20 years. Working with Jay Chiat, the advertising guru of sorts, TBWA and who knows who else the Apple ads have gone from to the one featured below. Now I really love Macs, and I like Windows as well. Both have benefits and both have issues. I have experienced crashes and freezes with every Mac, new or old, I ever worked on. Of course the same can be said of Windows. Recently, over the past 6 months, I have been using Windows 7 and I have to say I do like it. It is stable and gets the job done. A vast improvement over Windows Vista. But this blog is about the new Apple Ad, Broken Promises. I believe my favorite part of this ad is the change in clothing as the Windows guy goes all the way back to the 80’s. Classic. 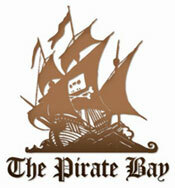 I have been following the Pirate Bay torrent law suit for some time. The case has drawn on but recently the Court Orders Pirate Bay to Erase Torrents or face rather costly punitive damages and law suits. So enjoy the last few months of service from The Pirate Baybecause soon it could be a completely different site. In the end, another site will take it’s place. There are already many torrent sites out there eager to replace the traffic. If the site does in fact go down I will update the blog and give you some other solid options to share with the world.